I have wanted a MAC palette for as long as I have been interested in makeup but they are completely ridiculously priced in Australia so I figured I would combine one with my Sephora order and make the most of my forwarding shipping. 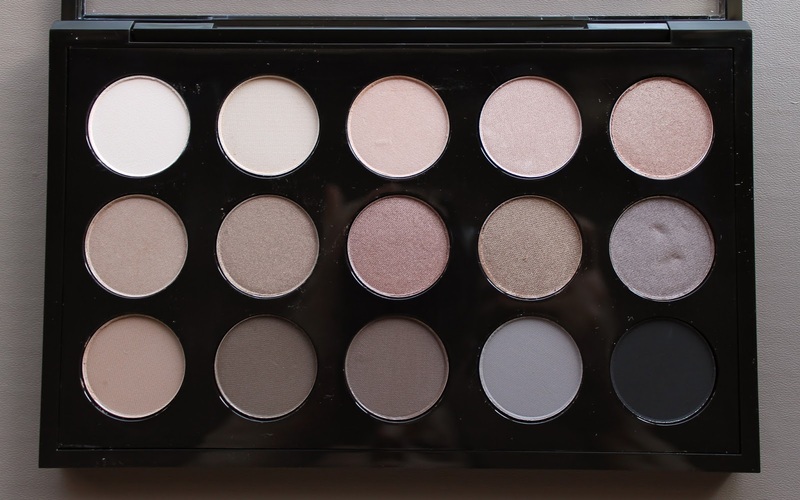 I am very much a neutrals girl and while I already have a lot of neutral shadows, I couldn't resist buying some of the MAC eyeshadows I have seen swatched over and over again and been totally in love with. I also feel I don't have many double ups at all. The palette is definitely filling the gaps in my collection and I am completely in love with every single shade. Here are the swatches and a little discription of each shade though I'm sure many of you are already familiar with some of them. I ordered mine from the US MAC site for $160 USD ($10 per shadow, $8 large single pro palette, $2 insert) which roughly comes to $181 AUD. I used the forwarding company ComGateway to forward it to me which cost just over $60 USD when combined with my Sephora order. Singly I assume it would have cost between $40 and $45 USD to forward just the MAC box. Even with a generous single postage estimate a MAC palette forwarded to Australia comes it at around $230 AUD. On the other hand, to buy from MAC Australia each shadow pan costs $26, the single large pro palette is $30 and the insert is $15. All together this same palette costs $435 AUD. Frankly I think that is absolutely ridculous. It is almost double even when you include forwarding shipping in the USA price. Honestly, I almost never buy MAC in Australia because the prices are a joke but the products are good so if you are willing to put a little extra effort in and have them forwarded from the States, they are basically half the price. Not cool MAC Australia! I really don't want to end this post on a low note just because of the Australia prices because this truly is a beautiful palette. All of these shadows are amazing quality and are well pigmented as everyone has come to expect from MAC. I am seriously so happy I bought this palette and I know I will be getting a lot of use out of it. Do you already have a MAC pro palette? Which shades are at the top of your wishlist? Let me know in the comments below. 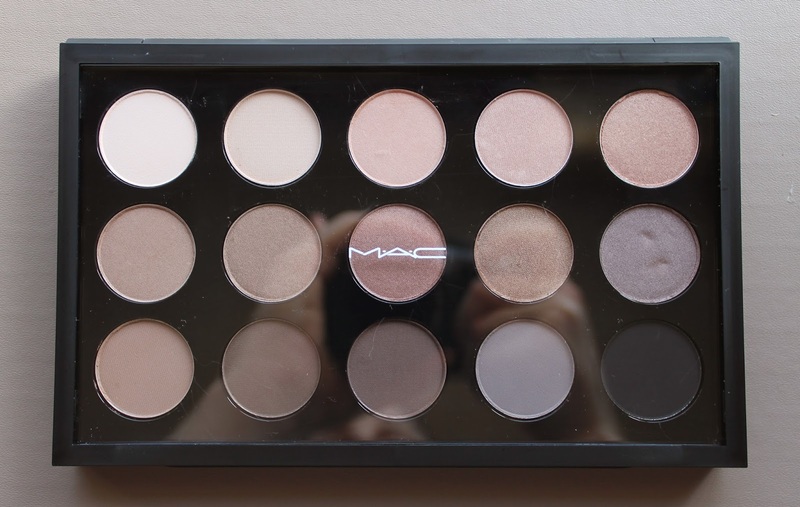 2 comments on "My MAC Pro Eyeshadow Palette"
Absolutely love your palette - I might have to think about picking up some MAC shadows when I hopefully do a US order early next year. I totally agree with the ridiculousness of Australian MAC prices - I just can't really justify that price for something that is so much cheaper elsewhere! I honestly don't even think it is worth the Australian price. I mean yes it is good, but so are brands like Inglot where you can build a similar custom palette. MAC Australia really needs to take notice of how their customers aren't actually idiots like they seem to believe. We know we are getting ripped off!